Over one hundred women came together last May and donated $100.00 each to the Otsego Community Foundation. That night, over $10,000 was raised to impact local non-profit efforts! These compassionate, generous women listened to four organizations tell their stories. The stories were full of hope, joy, and the struggles of others. Following the presentations, members voted for the organization they felt was most deserving of the grand prize. 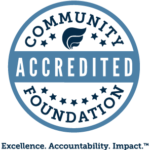 $5,000 was awarded to Habitat for Humanity, $1,000 to Otsego County Library, $500.00 to Otsego County Economic Alliance, and $500.00 to Otsego Wildlife Legacy Society. The other half of the monies went into the Community Fund to support the needs of tomorrow. This year we hope to have over 200 women come together and empower each other. Just think, $20,000 invested into your community in one night. Curious how you can make a difference in philanthropy by committing just one hour of your time? Want to know how you can make a HUGE impact in the community you love? 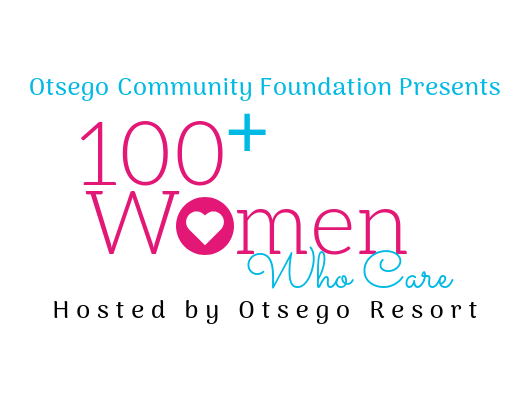 You can join 100+ Women Who Care this year on May 14th at Otsego Resort, Special Events room. Doors open at 5:30 pm with the event starting at 6:00 pm. To learn more about this event or please visit the Connect page on our website or reach out to any of our 100+ Women Who Care ambassadors: Taylar Akin, Tabitha Beach, Liz Forreider, Wendy Huston, Jessie Jensen, Janet Nowicki, Liz Reynolds, Marcia Taylor or Mary Tomaski.